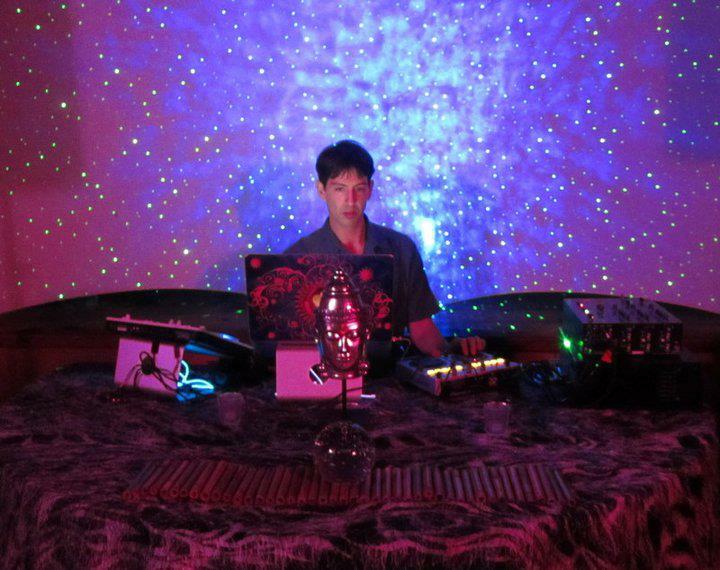 DJ Pangea will have a Bliss 15 Laser Starfield Projector from Lasers and Lights.com highlighting his performance at the Grass Valley Ecstatic Dance Thursday September 7th, 2012. Join in this regular community gathering where they also own a Bliss 15 Laser Starfield Projector and illuminate the historic St. Josephs Hall with BlissLights party lighting effects and dance grooves of all variety. DJ Pangea organically interweaves real instruments with electronica, carrying the dancer on an enchanted global journey into sound. Rooted in source energy and connected deeply to the dancers, he harnesses the power of music into alchemical dance. Pangea seamlessly blends gypsy funk, remixed classics, psychedelic house, conscious hip hop, bass-heavy dub, ecstatic trance, and percussive tribal into a rich tapestry of sound. He is a resident DJ at Dance Journey in Berkeley, and intends a musical set that will leave you gloriously exhausted and dancing your aliveness.